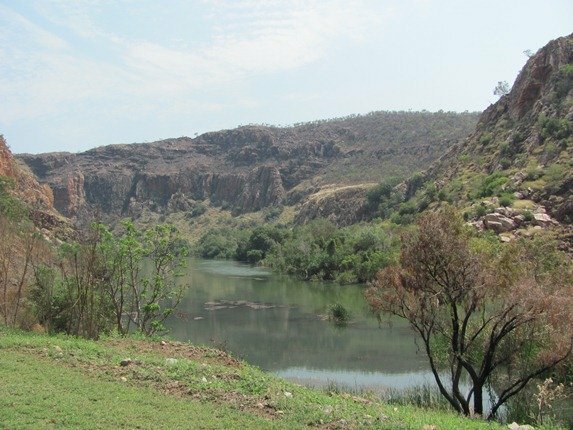 On our recent trip to Kununurra we did a day trip to Lake Argyle. 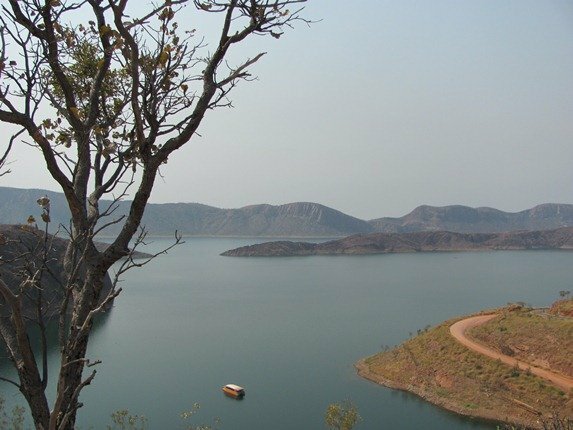 It is about an hour’s drive to Lake Argyle, which is Australia’s largest artificial lake by volume. It is impossible to grasp the size of it from the land and we have done a boat trip in the past. We have also paddled from Lake Argyle back to Kununurra over three days in the past and this was a great trip and thoroughly recommended. There are companies that will drive you and a canoe to the lake and they provide you with all that you need for the trip. 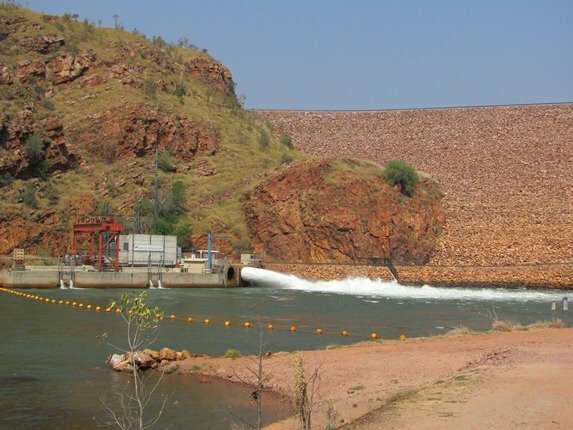 Depending on the flow of the water you can actually get away with very little paddling the first day as you set off from below the dam wall, but you will need to use some energy by the last day as you enter the relatively still waters of Lake Kununurra. Crossing the dam wall gives you access to a great little park, which is full of birdlife and views both towards the wall and downstream. The view downstream is sadly from quite a height and we used our scope to scan for anything of interest across the water and we were thrilled to see three White-browed Crake carefully walking atop the vegetation growing on the surface of the water. 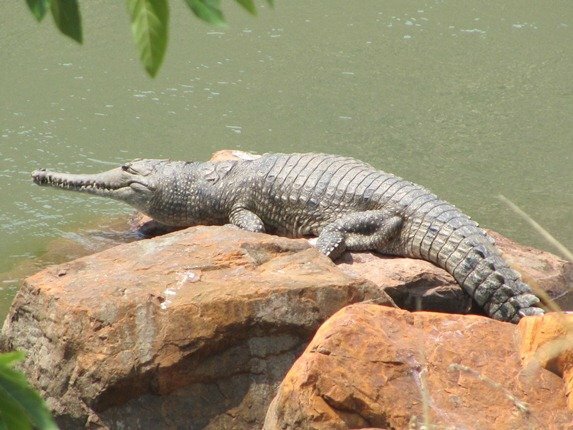 Now, if you have somehow got to here and not seen a crocodile at either Ivanhoe’s Crossing or Parry’s Lagoon Nature Reserve then you will definitely see one or two here! 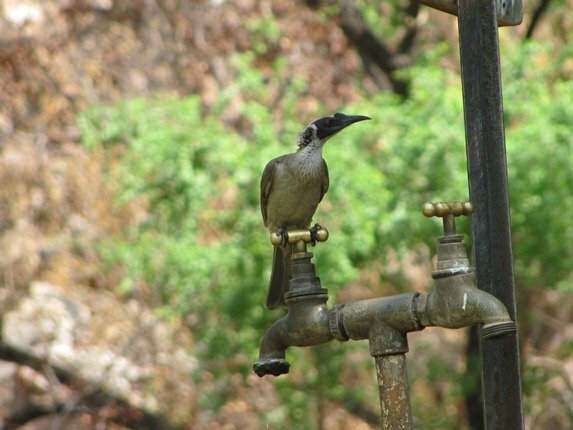 As we entered the park we noticed the tap was dripping and although it was not potable for humans it was much appreciated by the Silver-crowned Friarbirds. 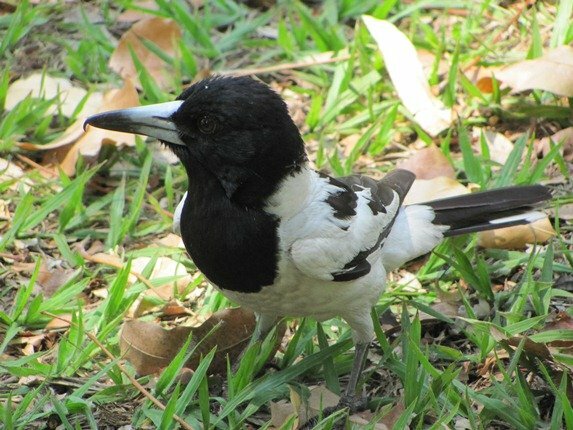 This was a great area to see these birds close up and a nice change from our local Little Friarbirds in Broome. 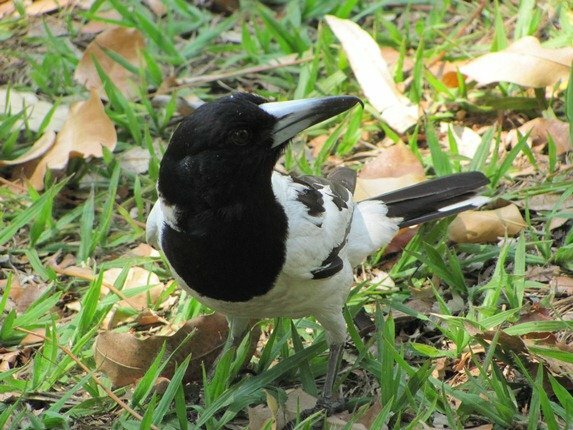 A family of Pied Butcherbirds were exploring the small park for anything that they could scavenge and as you can see, they do have a rather nasty looking bill. 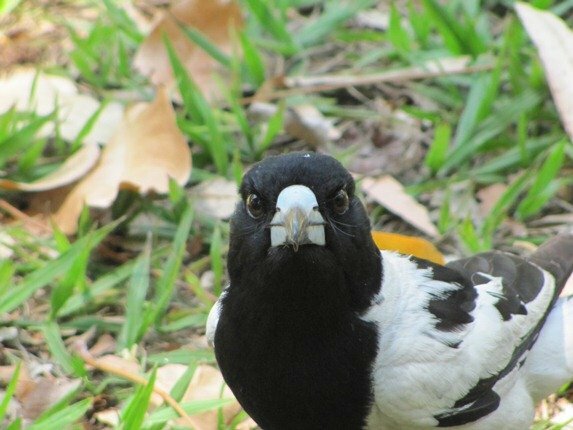 Did I mention the nasty look they can give you!? 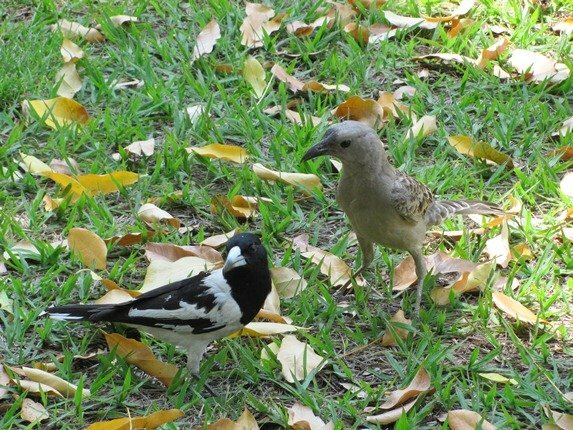 Along with the Pied Butcherbird came several Great Bowerbirds and they were also exploring. They were looking for more “treasures” to add to their bower to try and tempt a female into the lair and consequently mate with her. Once we sat at the picnic table we were of even more interest to them and they came to investigate further. 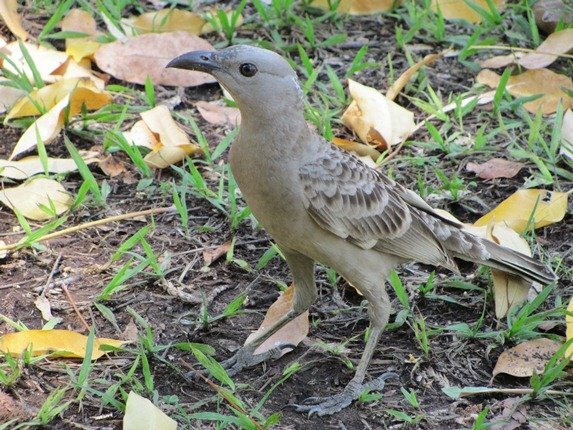 The male Great Bowerbird has a purple crest that it displays to attract a female and I found it near impossible to photograph! You can just see part of it on the back of its head in the second photo. The little white area rises up and displays the most magnificent purple colours. 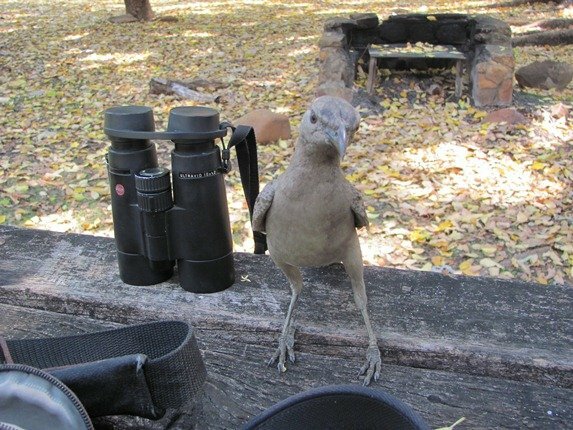 One particular bird was rather intrigued with my camera and the noise it made and was bold enough to hop onto the table for a closer look! It didn’t take too much investigating to find the bower and all the “treasures”, which were mainly white rocks and bones and a few old-fashioned ring pulls from drink cans. The birds spend a lot of time maintaining the bower and often rearrange the items in it. 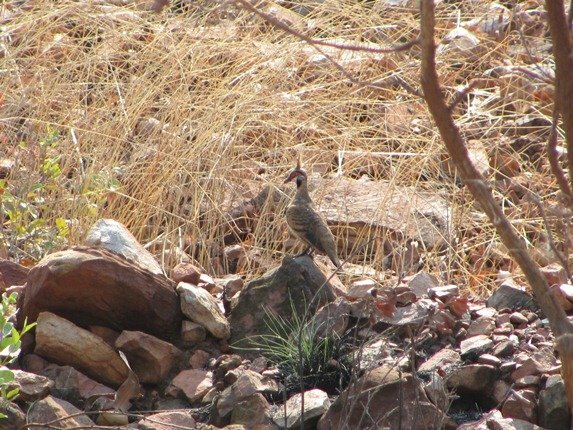 As you drive around the area you also need to keep an eye out for the cleverly camouflaged Spinifex Pigeon. We have seen them perched atop termite mounds as well as in rocky outcrops and they have quite an impressive “punk” look about themselves! Our Crested Pigeons at home are similar with the upright feathers on their heads, but these birds are just that little bit more colourful. 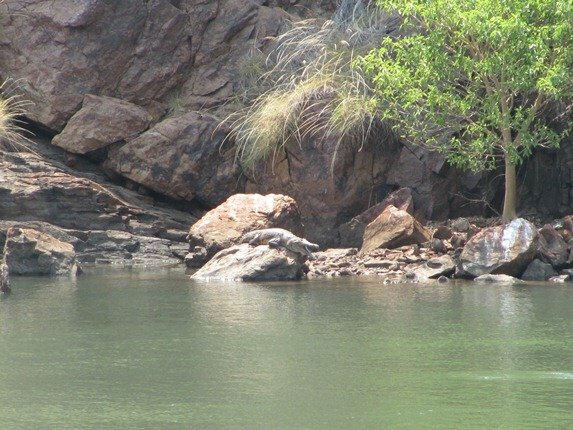 If you happen to be in the Kununurra area it is definitely worth a trip to Lake Argyle to see the birdlife and especially if you have not seen a crocodile yet! @ Treeurchin-yes, they are interesting. 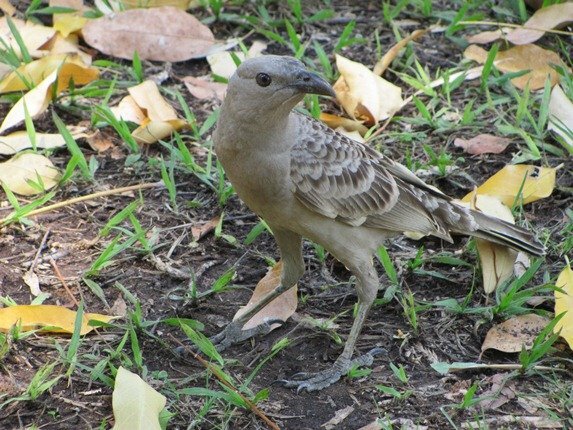 The Western Bowerbird is also very interesting to watch. We saw 16 males interior designing one bower all hoping for luck with the females in the Goldfields area of Western Australia years ago! Lack of “treasures” meant they all had to work together on the one bower. Haha! That’s a pretty awesome thing to have seen. 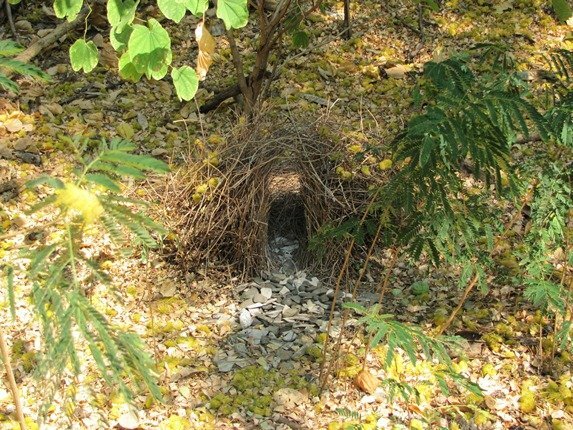 I never gave bowerbirds much of a thought until I took an animal behaviour class a while back and they were mentioned. Was there much squabbling between them? A friend of mine birded in Australia a decade or so ago and showed me some of his bird pics, also from Spinifex Pigeons. 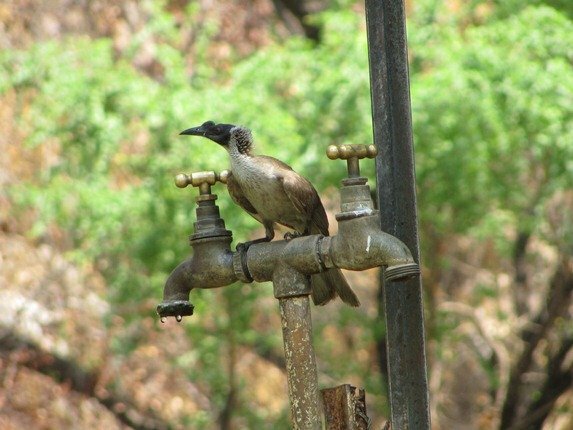 One of the best bird species in the world, honestly! @ Treeurchin-no, they all seemed to accept the fact that they all needed to work hard “to get the girl”! Is it still possible to do specialist birding tours on the lake? I did one nearly fifteen years ago and had a lot of great birds including Purple crowned Fairy-wren, Long toed Stint and Yellow Chat.